The Beatles defined music and popular culture like no other band ever will - but how did they make the journey from Merseyside teenagers to international pop stars in the 1960s? The Beatles: Made on Merseyside recounts how American rock ‘n’ roll and rhythm and blues dragged post-war Liverpool into one of the most vibrant music cities ever with the Mersey Sound. Featuring unique archive and revealing interviews from those involved in the early years of The Beatles in Liverpool and Hamburg, we discover the story of The Beatles’ previous band formations and why it took so long for them to achieve success. From school bands, to colleges; Hamburg to The Cavern Club, The Beatles moved from skiffle to rock ‘n’ roll before creating their own unique sound. 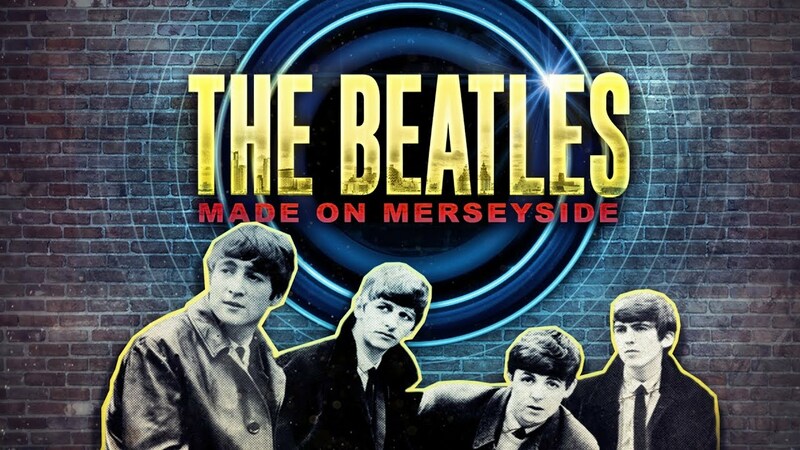 Featuring newly filmed contributions from the ‘fifth Beatle’ Pete Best; Quarrymen Colin Hanton and Len Garry; Brian Epstein’s business associate Joe Flannery; The Beatles first ever secretary Freda Kelly; original Merseybeat magazine owner Bill Harry and flatmates of John Lennon and Stuart Sutcliffe, The Beatles: Made on Merseyside charts the original music and the energy and excitement that led to the explosion of Beatlemania. "Alan Byron's welcome addition to the canon of documentaries about the Fab Four includes fascinating, often funny, reminiscences supplied by those closest to them, including the original - sacked - drummer Pete Best and former tour manager Tony Bramwell." "[I]t's insights... from friends and contemporaries, especially the charismatic Pete Best, that give this doc an intimacy lacking in many of its rivals." "This warmly diverting film is not just for Fab Four fanatics, but for anyone who recalls the start of the Sixties." "Great archive footage and reminiscences from those who knew them." "Footage from the clubs back in the early days is compellingly atmospheric." "Anecdotes from friends and contemporaries offer evocative insights." "Alan Byron's documentary says it with warmth and insight, thanks to the input of the former bandmates who never made it into the final iteration of the Fab Four...."